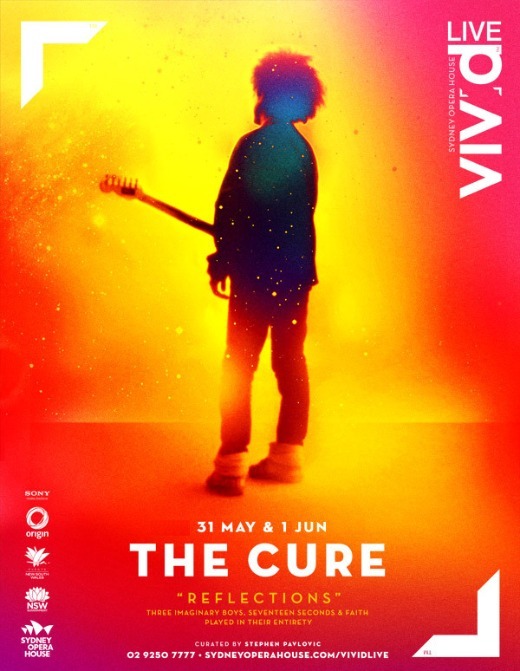 With The Cure’s first performances in more than two years just weeks away, Robert Smith is now hinting there could be more activity from his no-longer-dormant band than just the two upcoming full-album shows in Sydney and an appearance at the U.K.’s Bestival this September. For fans, the most intriguing question surrounding the prospect of more Cure shows may just be the “who” part of that equation. For the shows at Sydney’s Vivid Live Festival, Smith is bringing back departed keyboard players Lol Tolhurst and Roger O’Donnell — yet guitarist Porl Thompson, who had been playing with the band since about 2005, is noticeably absent. And Smith hasn’t said who’s performing the Bestival set on Sept. 10. BUT THEN LAST MONTH I THOUGHT BESTIVAL WAS GOING TO BE THE FIRST CURE SHOW OF THE YEAR!!! FEEL THE FLUX YOUNG JEDI! I’m not counting on it. He’s also “hinted” at releasing a dark album and a second bonus disc for Kiss Me.